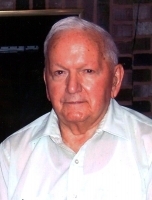 Orville J. Harkey, 86, of Coal Valley, Illinois, died Wednesday, December 14, 2011, in University Hospitals, Iowa City, Iowa. Services are 10:30 a.m. Monday at St. Paul Lutheran Church, Orion, with The Reverend Dr. Michael R. Lawyer officiating. Burial is in Western Township Cemetery, Orion. Visitation is 2:00 to 5:00 p.m. Sunday at Trimble Funeral and Cremation Center, Coal Valley. Memorials may be made to the American Red Cross of the Quad Cities Area. 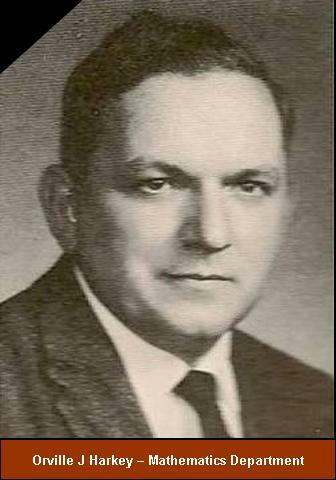 Orville John Harkey was born February 11, 1925, in Buffalo Prairie, Illinois, the son of Harry and Katie (Mueller) Harkey. He served in the United States Army during World War II, receiving a Purple Heart and Bronze Star for action in Germany in 1944. He married Madeline Deem on September 14, 1946, in Rock Island, Illinois. Orville earned his M.A. in Education from the University of Chicago, and then taught math and science at Atkinson High School for ten years. He then worked at Moline High School for 25 years as a math teacher, Math Department Chairman, and Math Curriculum Coordinator, retiring in the mid-1980’s. He was an active member of the Moline Education Association, serving on the Contract Negotiation Team, and was a lifelong member of the NEA and IEA. He belonged to the American Legion Post #246 in Moline, Disabled American Veterans, and the VFW. He enjoyed collecting coins, fishing, traveling, woodworking, feeding birds, and playing cards, especially Pinochle. He liked playing blackjack and was an avid Chicago Bulls fan. He was passionate about teaching and loved spending time with his family. Orville is survived by his wife of 65 years, Madeline; daughters and sons-in-law, Linda and David Kunert of Orion, and Gail and Doug LaVinn of Naperville, Illinois; a son and daughter-in-law, Carl and Diane Harkey of Naperville; eight grandchildren; 14 great-grandchildren; brothers and a sister-in-law, Ivan Harkey, and Gene and Laura Harkey, all of Aledo, Illinois; and a sister and brother-in-law, Irene and Addison Couch of West Liberty, Ohio. He was preceded in death by brothers, Merle and Donald Harkey, and a sister, Darlene Harmon.